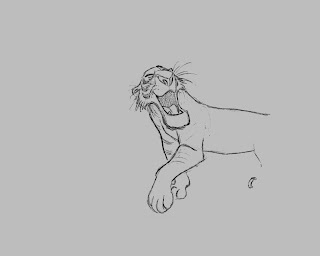 This scene is at the beginning of a brilliant sequence from The Jungle Book when Shere Khan interrogates Kaa, the python. 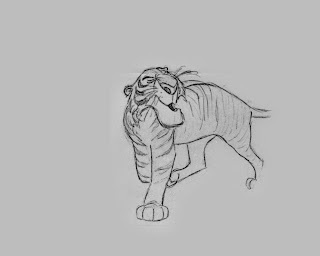 Milt animated both characters throughout. 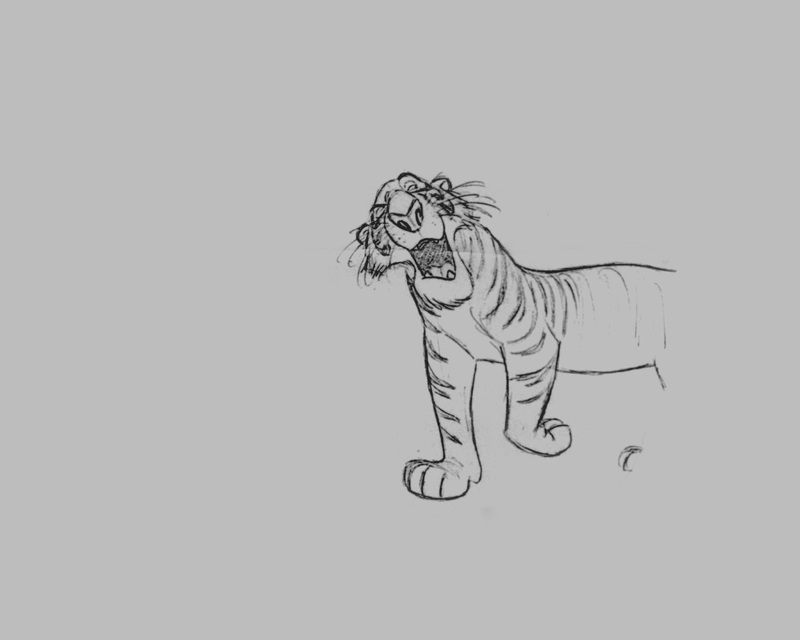 The moment when the tiger comes around the tree was the first production scene of him, and it's a beauty! 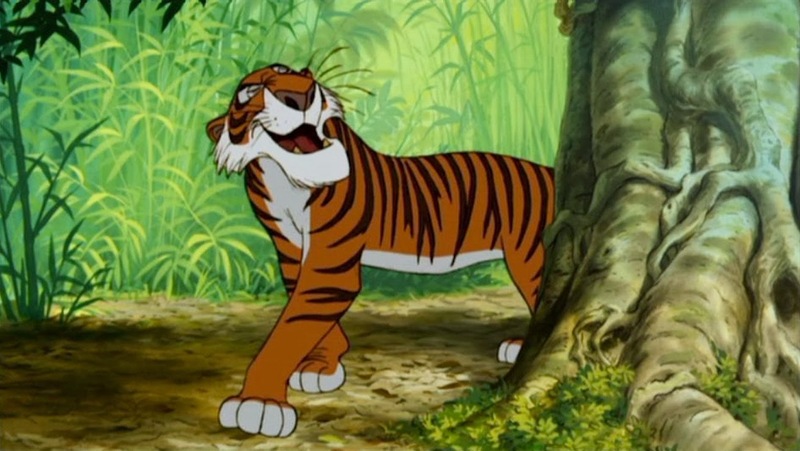 "It's me, Shere Khan. 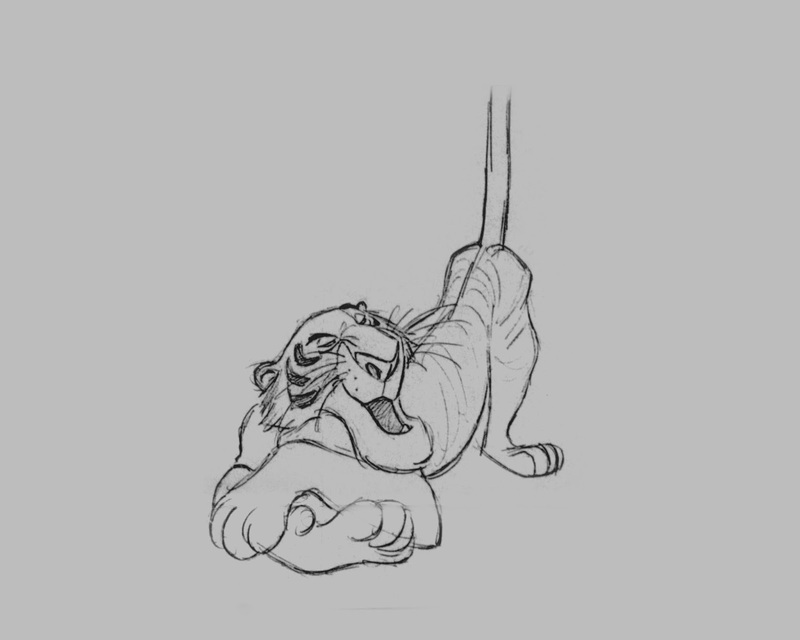 I'd like a word with you, if you don't mind", he tells Kaa ever so politely. No live action reference here, this came out of Milt's head. 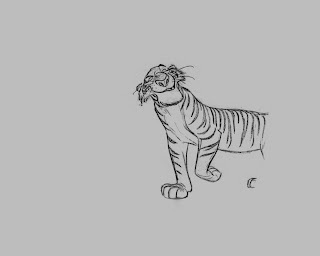 He said in an interview: " I learned so much about tigers by studying them that I didn't have to rely on any life action crutch." 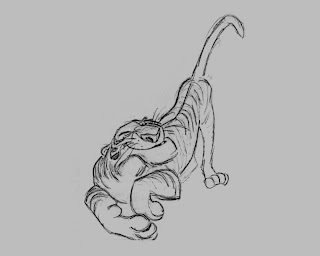 Great perspective walk, and I love the way the tiger lies down, upper body first, then the rear. 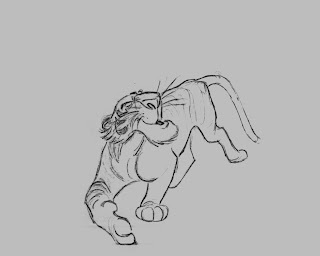 The way he moves those front feet is worth studying alone. 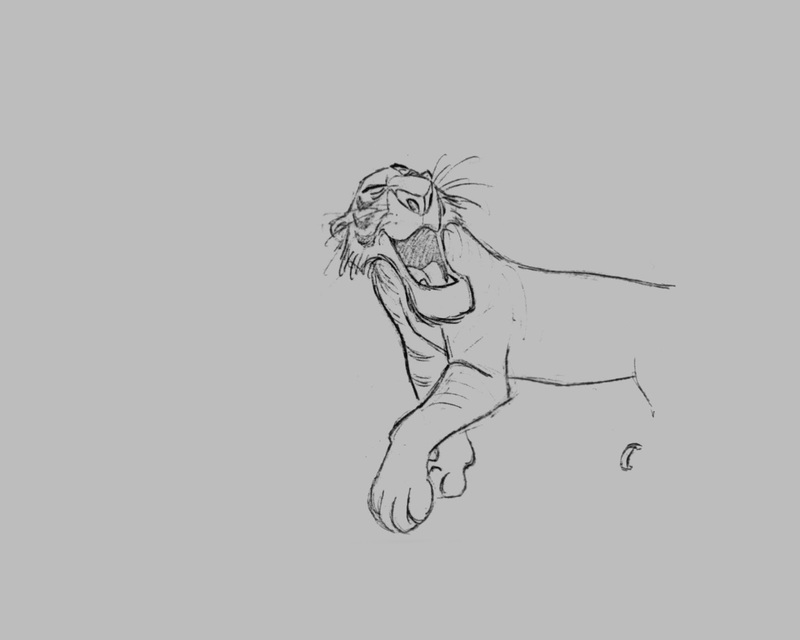 Such great anatomy. The last pose holds for a while, and Milt kept it alive by adding a few eye blinks on a different level. 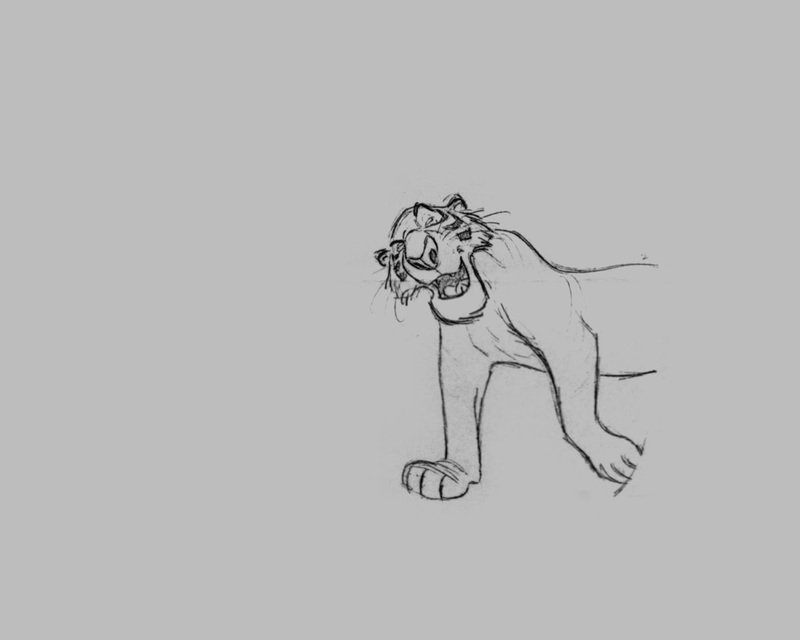 By the way, Walt Disney did see the whole sequence in pencil test before he died. Milt said that Walt liked it and approved it. 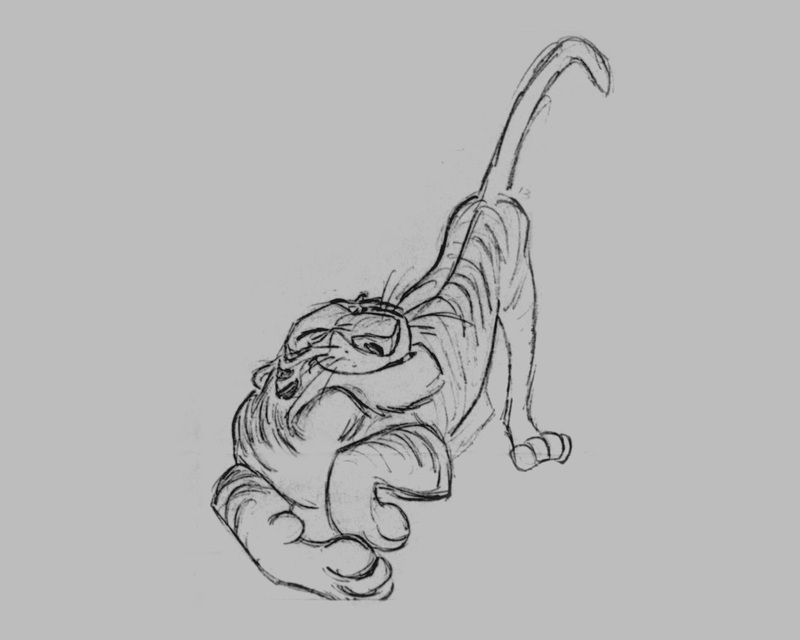 The final pose was inspired by a Ken Anderson design sketch, which was inspired by a Bill Peet drawing of the much cartoonier tiger from the 1945 Goofy short "Tiger Trouble". 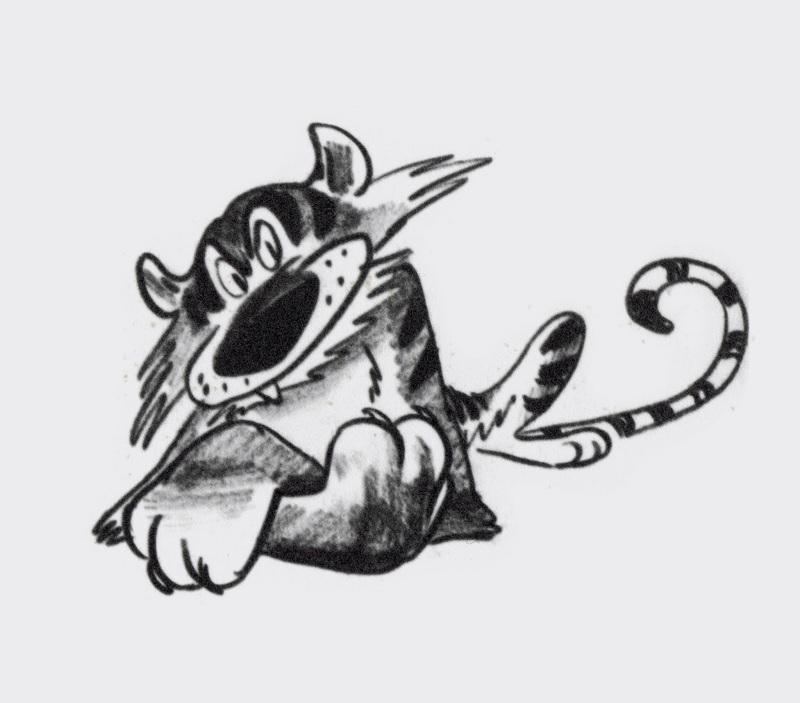 Milt animated that tiger as well…brilliantly. Oh my god! 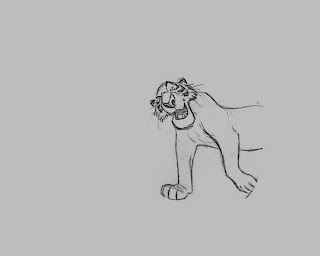 This is superb animation. I'm sure Mr. Walt Disney loved it!! One question, I remember that in some documentaries on Jungle Book and the CalArts master class he gave, Milt mentions that everyone was deleted with including more time of Baloo, so Milt wandered when they were going to show Shere Khan. 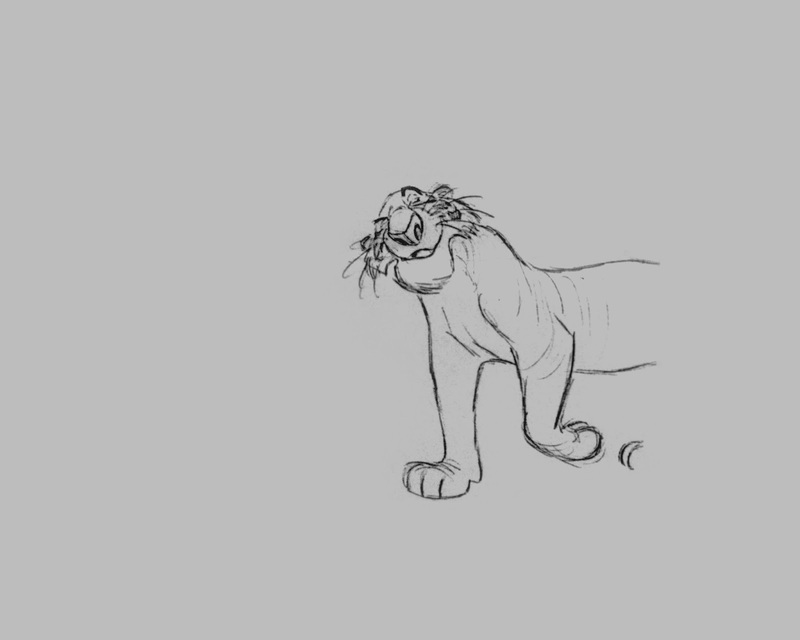 So, this pencil test was in the middle of the production or was made earlier? Thank you for this wonderful post! What a way to begin this year! This animation was done early on in production, before Walt died. 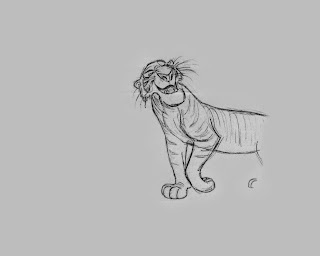 Amazing animation! 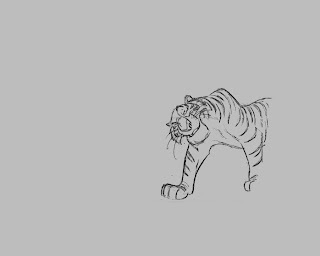 Love that how he slows in in "..Shere Khan". 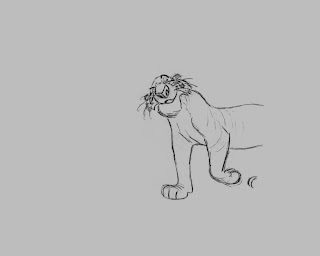 What a smoothy animation. And how there´s really weight on every move. 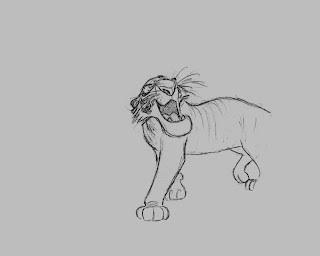 And actors voice fits so perfectly on character. Thanks for sharing those pencil drawings. 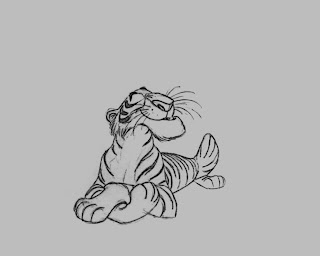 My favorite Disney character from Milt. 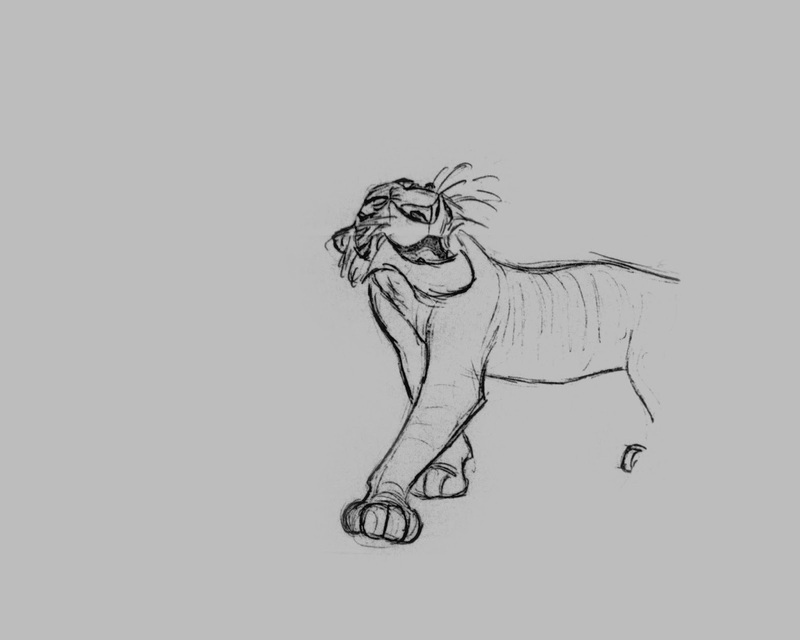 I never get tired at looking at such great draughtsmanship.Thanks for sharing this treasure. 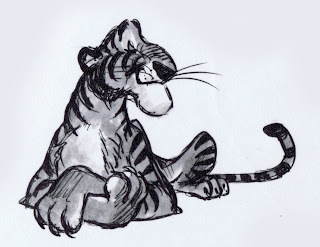 Happy NY, looking forward to Mushka and future posts. Andreas, did anyone else (John Lounsberry, Ollie Johnston, etc.) 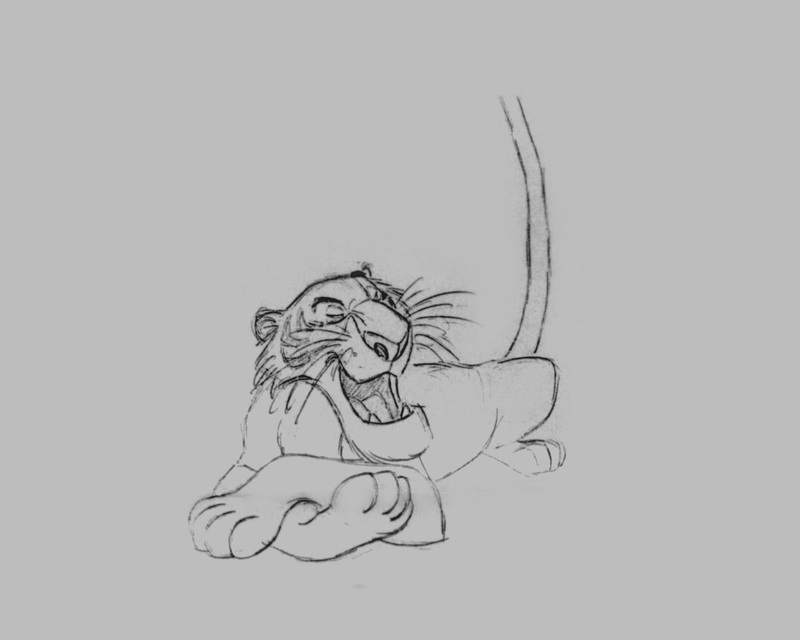 animate any shots of Shere Khan, or was it all Milt Kahl? 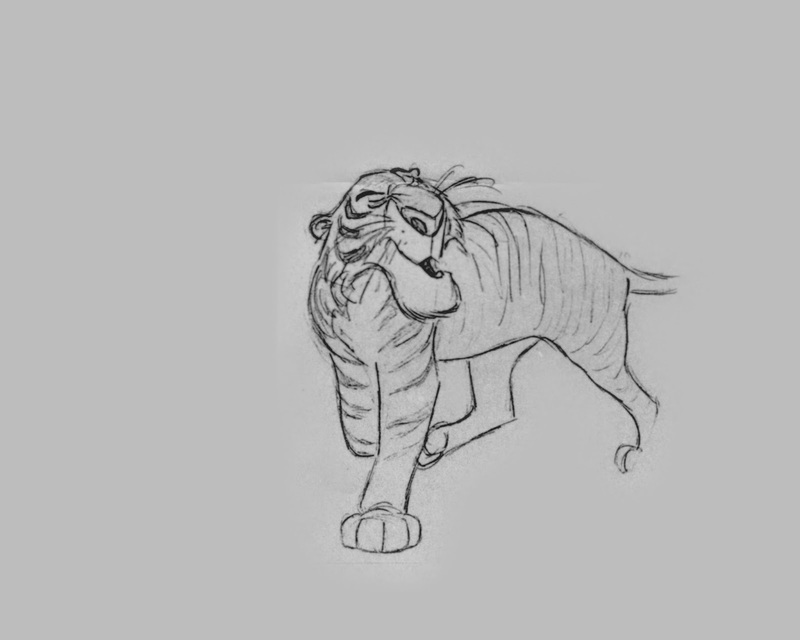 It was all Milt, except for the fight with Baloo. 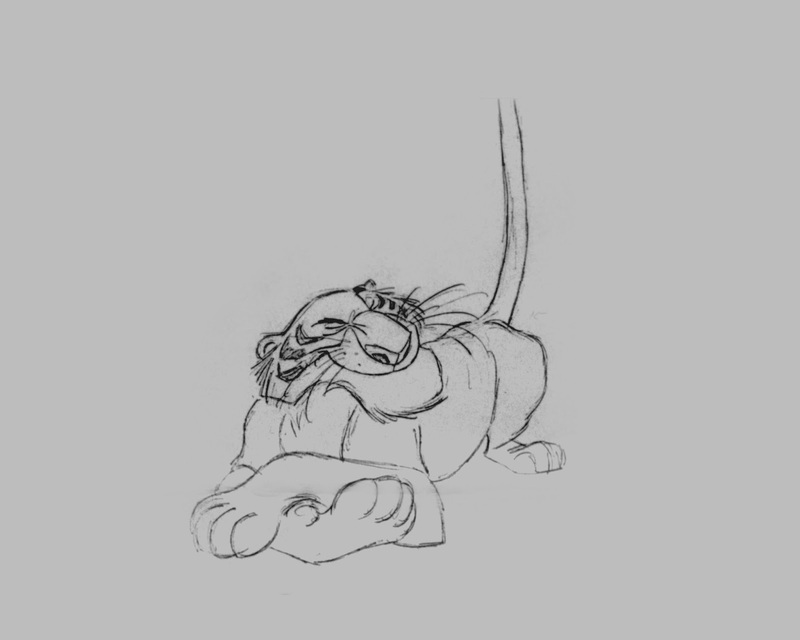 Lounsbery animated that sequence, and Milt thought it was pretty good. 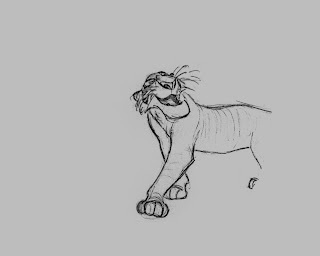 Andreas, this is unrelated to this peticular post, but is there concept art of Babkak, Omar and Kassim; the three friends of Aladdin deleted from the final film? If there is, I'd appreciate if you'd post some. Thanks! 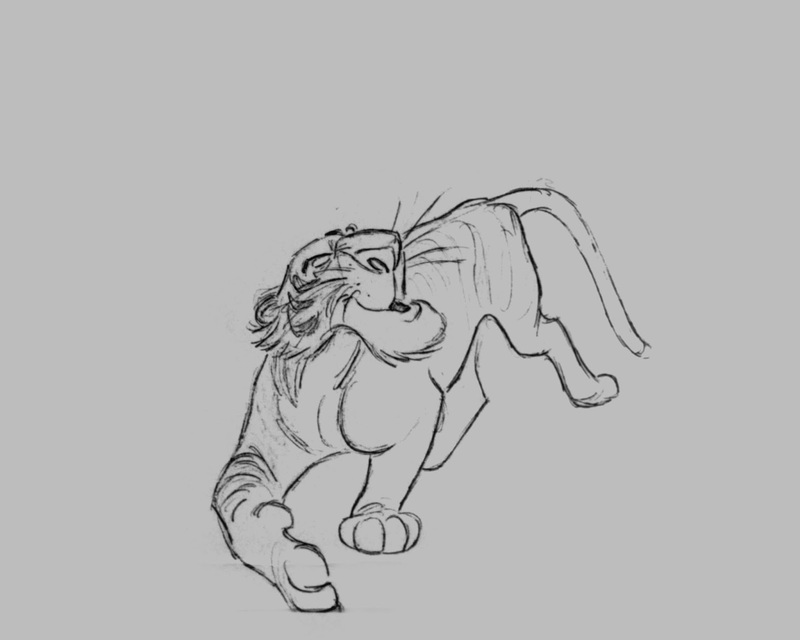 I don't have any such concept art, sorry. Thank you for sharing, 2014 couldn't start better! 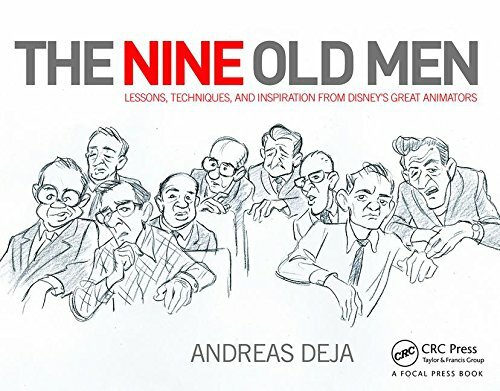 Thank you so much Andreas Deja!!! this might sound Funny but I printed them all out and flip them, the drawings just come alive. 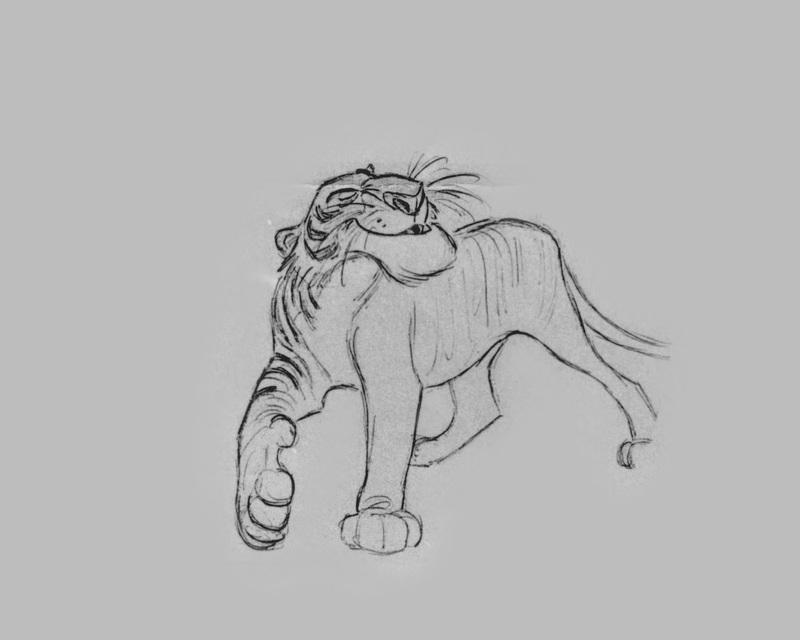 Shere Khan is my faverate character of the film when I was younger in the early 2000's I had it on VHS and would act out my faverate scene of him giving mogli a chance to run for his life, then after the movie there was a behind the scenes look which I believe inspired me to become an Animator. 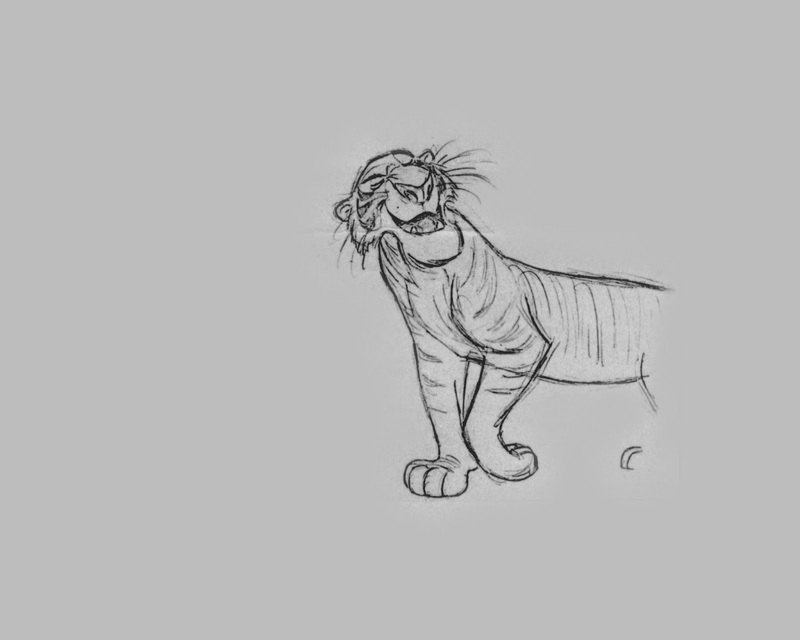 Did the stripes create much of a headache for the animators or clean-up artists? All hand-drawn, of course. 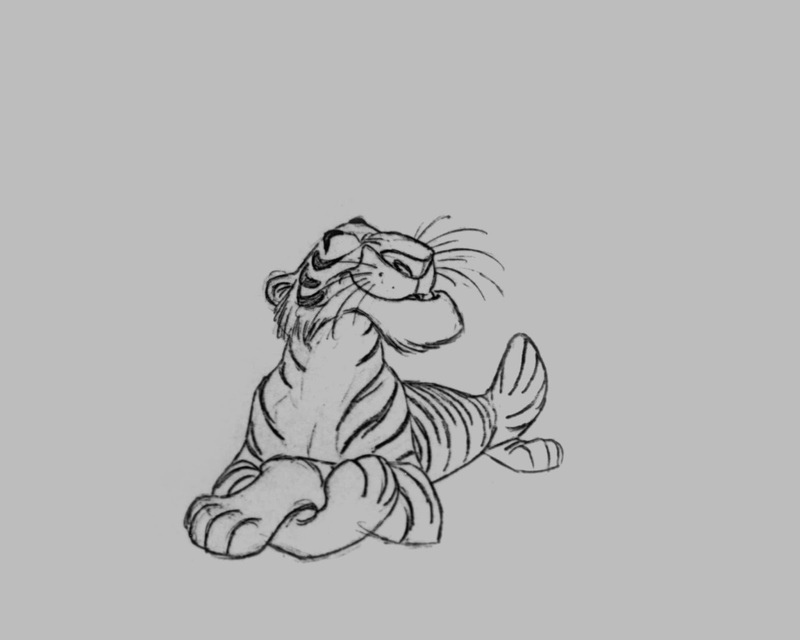 The stripes were a real challenge, particularly for clean up. 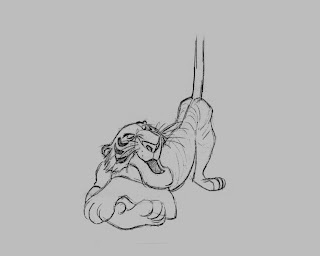 Imagine looking at two key drawings on top of each other and having to find the correct in-between middle for ill those lines. But they did it right, and those stripes help define the tiger's anatomy beautifully. 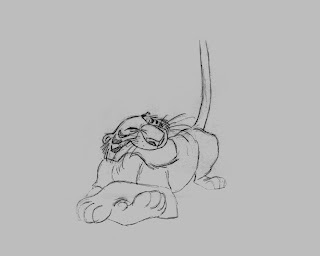 I've started noticing that Shere Khan kinda looks like Milt Kahl himself, especially in the eyes and nose. whooa. Delicous! wow wow wow. 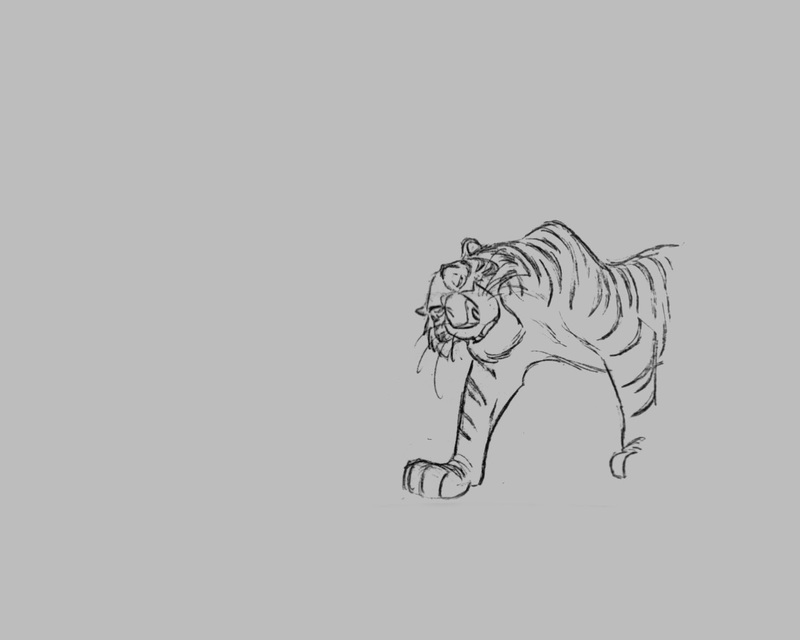 I want to animate like that. 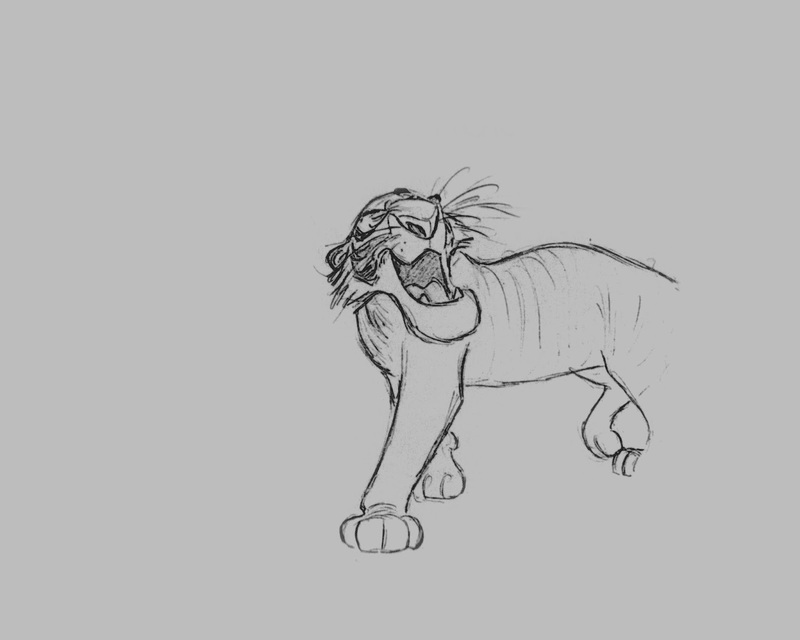 We didn't get around to Sher Kahn until rather late in production. If I recall, Vance Gerry and I began boarding this stuff in the summer of 1966. 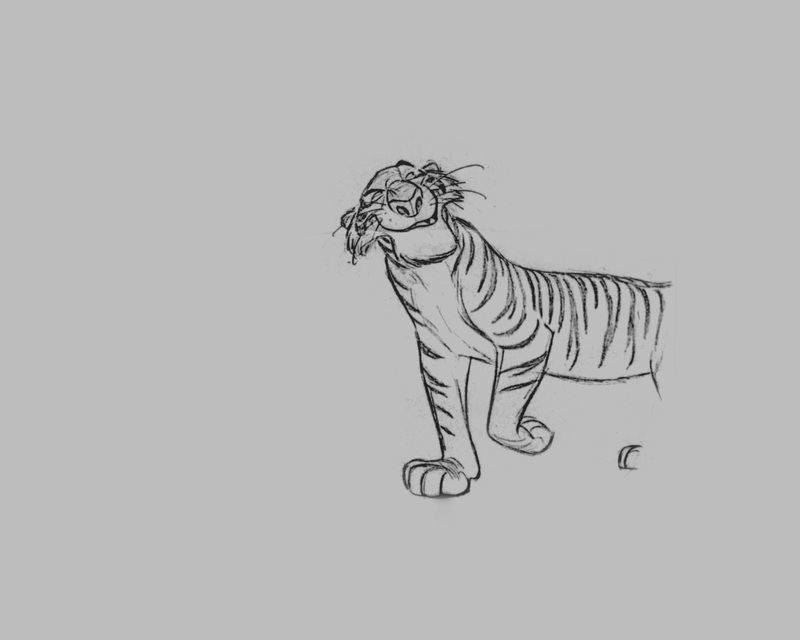 Naturally, we knew Milt was waiting to get started on the tiger. We knew he'd knock it out of the park. Hi Andreas, its really a pleasure to see some of these wonderful masterpieces. Did Milt ever share any of his study drawings(sketches) of the Tiger anatomy he spoke to you about even before he actually began animating it as Shere Khan?